CPR Gutter Protection offers gutter protection and roof restoration services in the eastern suburb of Montrose. Our gutter guards are 100% Australian manufactured and all of them come with 25 years warranty. The highest quality gutter guards are delivered by CPR Gutter Protection to all Victorian households, including the surrounding areas of Montrose. The gutters are meticulously cleaned before our professional team installs gutter guards. Gutter protection can be very beneficial if you have a rainwater harvesting system installed in your house. Our gutter guards will filter out the contamination from the rainwater. Along with this, the gutters will remain clean at all times as the leaves and debris are kept away from the gutter. Since the passageway into your house is blocked by installing gutter guards, the pests and intruders are kept at bay. Installing gutter guards made from the highest grade aluminum helps to deal with all the above mentioned issues. CPR Gutter Protection experts can offer excellent technical advice for all your gutter protection and roof restoration related issues. The experienced professional installers are highly equipped with safety equipment and are fully insured. 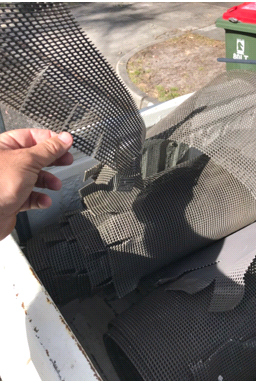 CPR Gutter Protection specializes in a wide range of gutter protection products such as gutter guard such as gutter screens, gutter guard mesh, fine mesh gutter guard, metal gutter protection, leaf guards and gutter helmets. CPR Gutter Protection has made gutter guard and roof restoration easier. You can call CPR Gutter Protection at 0431 239 512 for free roof inspection with your free measure quote.